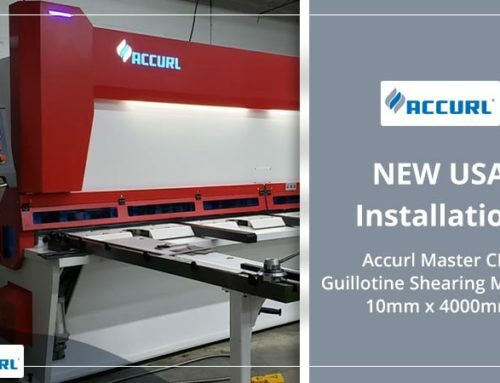 The New Accurl Press Brake Electric Servo sheet metal bending followers lifters basically consists of a pair of sheet supports placed on the front of the machine at the height of the bending line(bottom tool). Supports are completely controlled by the CNC, following and supporting the sheet during the bending process. and the dual interpolated axis configuration allows to continuously follow the part during the bend, to reduce the risk of scratches and counter bends and simplify machine operators’ work. A counter bend occurs when we bend a very large, heavy and thin plate. The overhang generates a torque that makes the sheet bend around the die edge under its own weight, as we can see in the drawing. The sheet lifter helps to avoid this type of damage, supporting the plate during the entire bending cycle. The latest followers for sheet metal bending aim to optimize the performances of our press brakes by reducing the time to set up the press brake and simplifying the work of operators. These bending aids provide valuable practical assistance (including an automatic height adjustment) for operators especially for heavy or large parts. Brush and support shaft dim. 350×900 mm extendable up to 1200 mm. Active or inactive modes that can be controlled directly on the sheet follower to avoid any safety risks (LED light located on the sheet follower).